Echinacea Dosage - How Much Is Needed To Thwart Off Cold? Many people use Echinacea to fend off the signs and symptoms associated with the common cold, but the herb has long been used for treating everything from fever to syphilis, although it’s certainly not recommended for all of those purposes these days. Echinacea now has been mostly used for fighting off and treating a cold, although its use as a preventative for viral respiratory ails has not been proven. As with many herbal remedies and supplements, calculating and finding the right Echinacea dosage for you can be difficult, especially if you are considering using it in a larger quantity to stave off a cold. Interestingly enough, there is no scientific evidence that an Echinacea supplement or Echinacea tea benefits include cold prevention, although much of it does point to Echinacea as a remedy for many cold symptoms. So how do you know what the correct Echinacea dosage is for you? Well, it depends on what variant of Echinacea you are using. 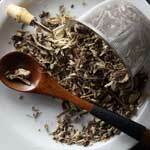 If you are using the simple dried herb as a tea, then 1-2 grams is the recommended Echinacea dosage. If you prefer the tincture extract, 2-3 ml. If you are using the powdered extract, then 300 mg is standard, and stabilized fresh extract is used 15-23 drops (or 375 ml) not more than 3 times a day. There are some concerns involved with taking Echinacea, even if you are using it properly and taking the correct Echinacea dosage. People with certain diseases such as tuberculosis and diabetes should not take Echinacea, along with people with autoimmune diseases and liver disorders. Additionally, some people may have an allergic reaction to this common herb, and as such may experience Echinacea side effects from taking this natural product. Lastly, the relationship between Echinacea and pregnancy has not been fully evaluated. As such, it is not advisable for pregnant or nursing women to use this herbal remedy. If you are considering Echinacea or any other herbal supplement, talk to your health care provider. Not only will he or she be able to assess your health to ensure that Echinacea is safe for you to take, they will also discuss concerns with you regarding dosage and safe use.